The Canary-shouldered Thorn was kindly confirmed by Dave Chesmore. Since then life’s complications have made setting the trap difficult and when it has been - still the wasps come. What time do they get up? Do they go marauding at night? When I look at the contents of the trap in the morning it is usually around 6.15am and the wasps inside are very slow-moving and can’t have arrived with the first light. It’s a mystery. 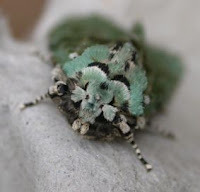 However last night attracted a newcomer – a moth described as ‘common’ yet one I had never seen before apart from a display specimen pinned out in a case, but the colours had faded. 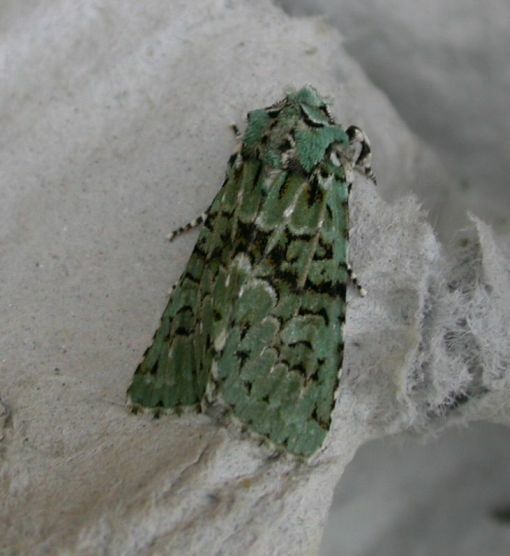 So another new species to add to the list which now stands at 173. 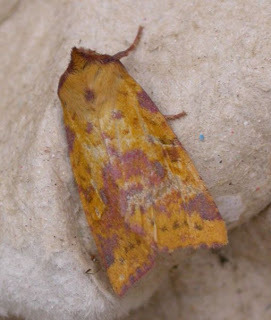 The Pink-barred Sallow (Xanthia togata) is not new to the garden but it is a useful one for teachers seeking variety for the National Curriculum as it derives its name from the broad purple stripe on the toga worn by Roman senators.